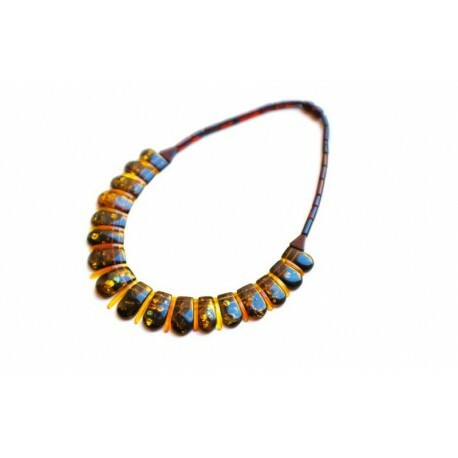 A classical amber necklace, sparkling with luxury. An amber of moss green hues is combined with caramel hue amber pieces. A luxurious amber necklace of a unique shade. Carefully selected, rounded and smoothly polished amber pieces are carefully joined into a harmonious whole.